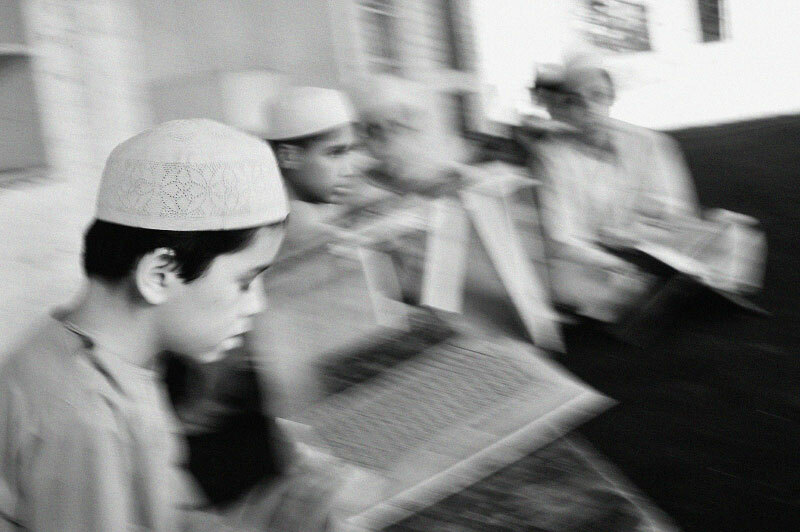 Young Afghan boys from Kabul study the koran at the Jammiah Ashrafiah Madrassa in Peshowar, in the North West Frontier Province of Pakistan, July 5, 2008. Their parents are in Afghanistan, and they are living in the Madrassa. While Madrassas have traditionally been a place for young men to study the Koran in step with Islamic studies, it has also been a breeding ground for young men's hatred towards the West, and a place from which many initiate their Jihadist beliefs. Since the start of the American-led war in Afghanistan in 2001, the Taliban has gradually infiltrated the areas surrounding Peshowar, making the tribal areas inaccessible, and Peshowar more tense.